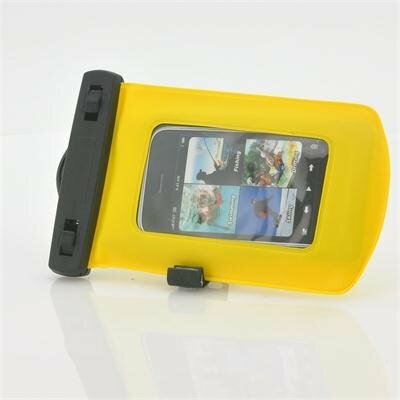 Successfully Added Waterproof Case for iPhone, iPod Touch, Android Smartphones, MP4 Players (Yellow) to your Shopping Cart. Tough and completely waterproof (IPx8), go underwater and keep your iPhone, iPod Touch, and other electronic devices dry with this Waterproof Case! Taking your kids to the pool with nothing to do? Can't take showers without your iPhone? Always wanted to watch a movie underwater? Want to show off your new iPhone to friends, but can't because you're going to the beach? 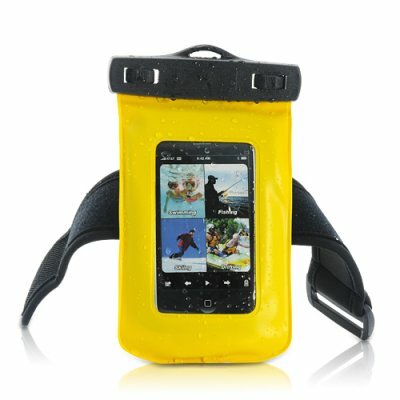 Well the perfect protective waterproof case is here! Diving, swimming, kayaking, rafting, fishing, exploring - wherever life takes you, this waterproof case will make sure your iPhone can go too! This amazing waterproof iPhone and Smartphone case will keep your device dry without affecting its use. You heard right, this Waterproof case allows full use of your iPhone’s screen and controls so even in water you can play games, send emails, watch movies, and do all the other things you love to do with your phone! Best of all, this case has been designed to float if dropped in the water, so you can easily find it. It doesn't get easier than this when you need a waterproof case for your iPhone, iPod Touch, Android Smartphone, MP4 player, and other electronic devices. With our wholesale price, get ready to make some serious profit in your online store with this essential cell phone accessory. Order now and we'll ship it out to you tomorrow! Easily carry this item while in water with the strap around your arm or neck. The back cover is not transparent so you can't take pictures with your phone's camera. "Apple", "iPhone" and "iPad" are trademarks of Apple Inc., registered in the U.S. and other countries. Can I fit other things in this waterproof case? Like my contact lenses, earrings, necklace, etc?